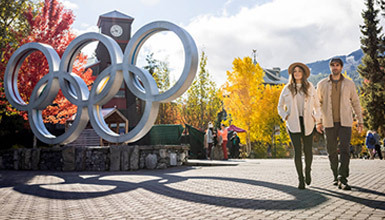 The Whistler Writers Festival is an annual fall event celebrating the written word. It's a chance to meet renowned authors, listen to lively speakers panels and attend workshops on publishing and word craft before gathering for evenings of music and great conversation with other readers and writers. Whether you are an avid reader, aspiring writer or an established author, you'll find something special in the Whistler Writers Festival program. Events include evenings with food, music and stories, plus several workshops. Here's what happened for 2018. Please check back for new 2019 event details. Don't miss events that sell out early: the Literary Salon specially designed for book clubs, Crime Writers Lunch, Panel Discussion: Publishers Roundtable Discussion, Literary Cabaret, Gala, Sunday Brunch, Sunday's A Walk to Lost Lake with authors and readings. Tickets and festival passes will be available in August 2019 on the Whistler Writers Festival website. Don't miss out on any of the literary action. 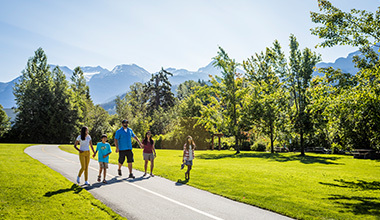 Extend your stay in Whistler with 2 nights available from only $125 CAD per night. *$125 CAD rate based on a 2 adults sharing a standard hotel room. Rate based on availability and subject to change. All rates are transacted in Canadian dollars. USD $ rates are based on a 0.75 exchange rate and may change with fluctuations in currency. Fall is a cozy time of year, where crisp air invites walks through the forest and fireplaces beckon for conversations with friends. Pack books and a notepad and take some time to enjoy the peace and quiet in the mountains. The Whistler Insider tells you what really goes on at a writers’ festival and why even non-writers will love the event.